Showing 1–10 of 54,080 items. 100% of Last Week Tonight's proceeds will be donated to The Trevor Project and AIDS United. 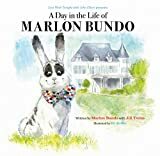 HBO's Emmy-winning Last Week Tonight with John Oliver presents a children's picture book about a Very Special boy bunny who falls in love with another boy bunny.